I ordered it on the third of the month, and because I’m a Prime subscriber, Amazon said the book would be here in three days. The courier service confirmed my book would be here on the 9th. For some, mathematics is something that happens to others. And that, not counting the obvious delays caused by the snow. But the book arrived on the 6th as planned, and so I was able to spend the weekend with Athena Voltaire. And it was quite a good weekend indeed. The Athena Voltaire Compendium is a sturdy, bulletproof hardback, that collects 250+ pages of the pulp comic created by Steve Bryant. 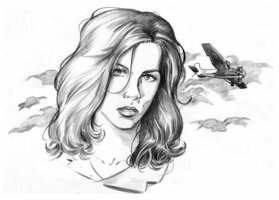 The comics have been expanded with fifty pages of new material, and provide a concentrated sample of pulp goodness: Nazis, occult conspiracies, mysterious cabals, lost cities, the Hollow Earth, various flavors of undead, air dogfights, and much more. The stories are fun, simple, with ample references to classic pulp stories and adventure movies. The structure and development follow the classic pulp story line made famous by Lester Dent and his “Formula”. Globe-trotting, two-fisted Athena Voltaire clearly inhabits a world where boredom is not an option, and in which a lot of people have faces of famous actors (including Athena Herself, that in some scenes seems to be very similar to Evangeline Lilly – not that this is a problem, of course1). All in all a fun read, a lovely book and very reasonably priced. 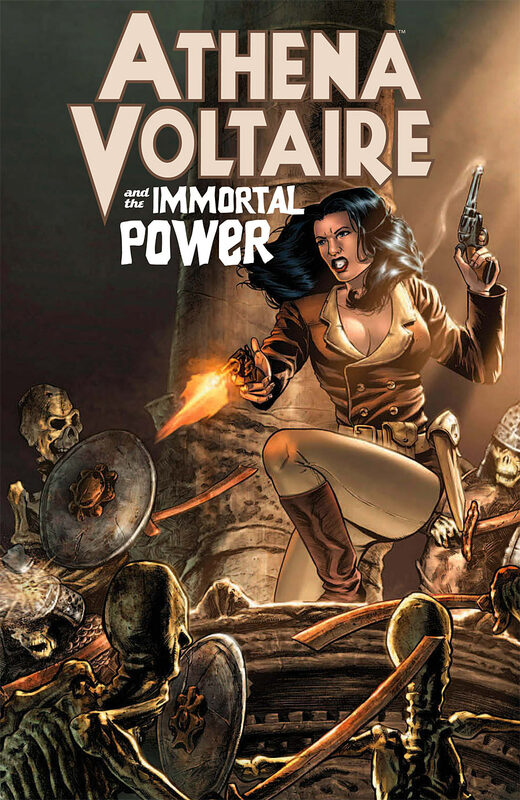 Now we’ll have to wait for the next story – in which lovely Athena Voltaire will face The Volcano Goddess. 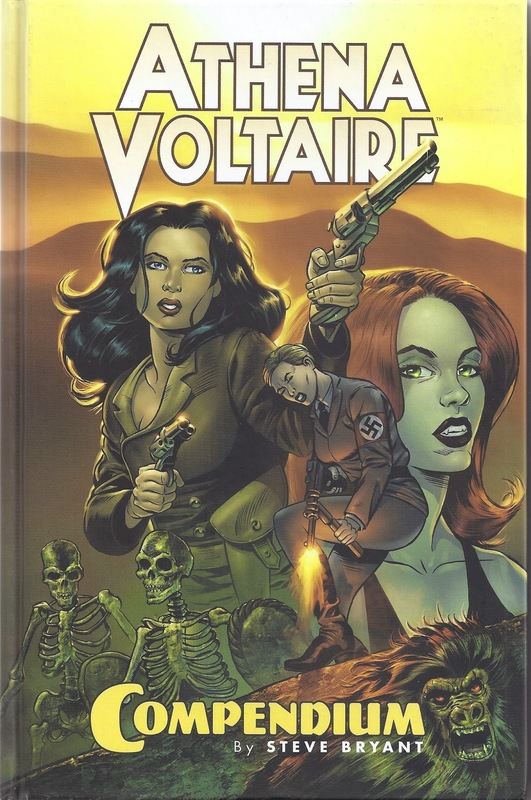 Categories: Books | Tags: Athena Voltaire, Comics, Evangeline Lilly, Steve Bryant | Permalink.